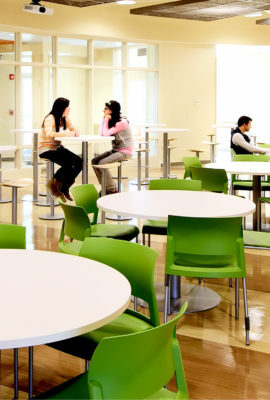 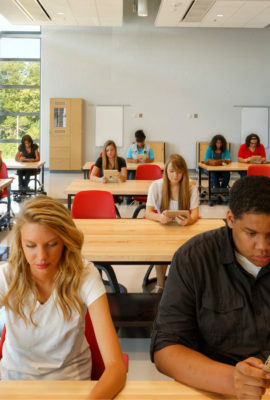 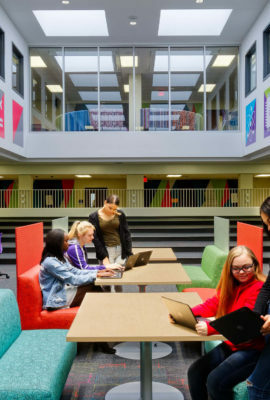 The new Green Level High School provides students with a holistic 21st century learning environment to inspire innovation. 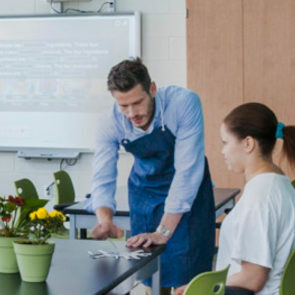 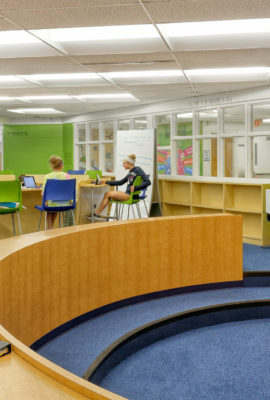 The extensive use of glass throughout the school provides transparency into collaborative learning environments and offers inspiring views to the outside. 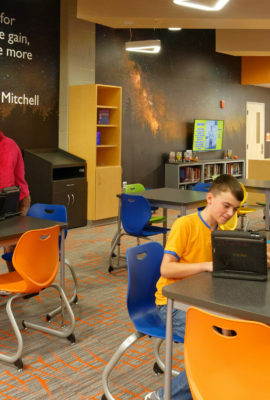 This is reflected most in the school’s second-story media center, making it a favorite destination for student research and collaboration. 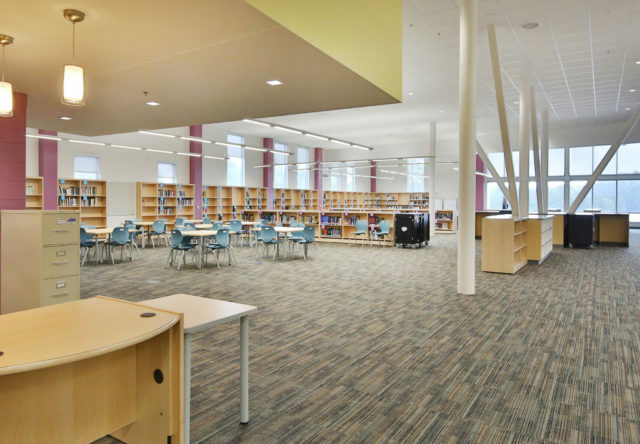 Flexible classrooms, exciting interiors and presentation and group areas support student achievement. 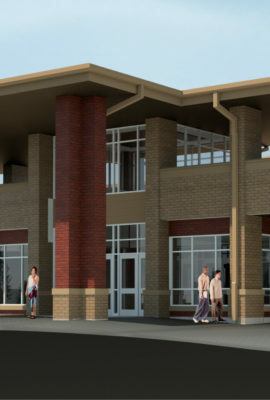 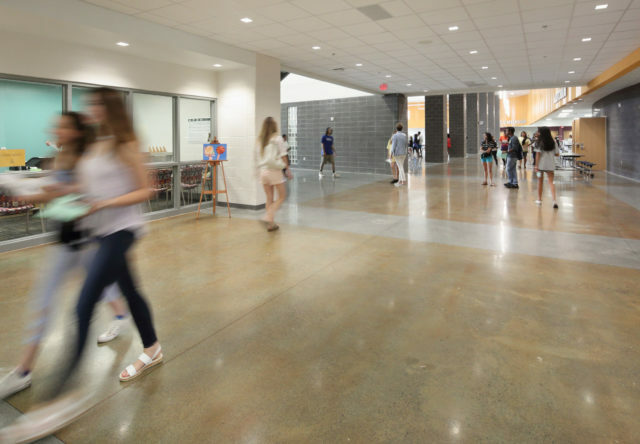 Transparent classrooms and vibrant wayfinding makes for an exciting entrance to the school. 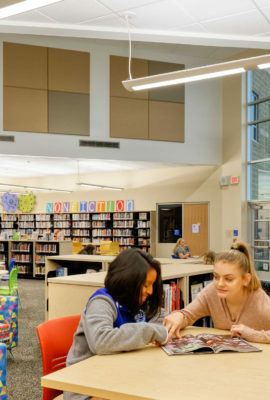 Natural daylighting and views make the second-story media center a favorite destination for student research and collaboration. 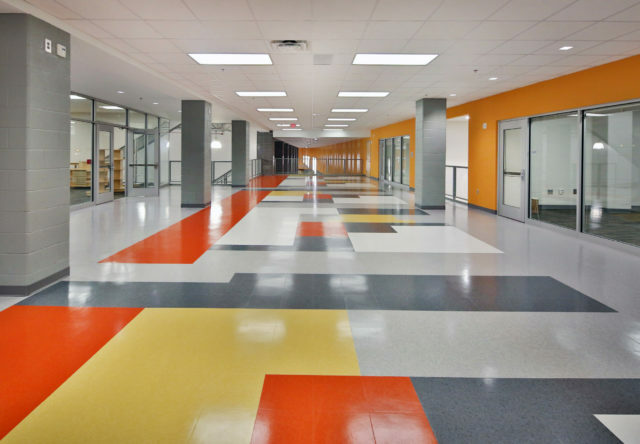 Colorful tile and extensive glass make for an inspiring learning environment. 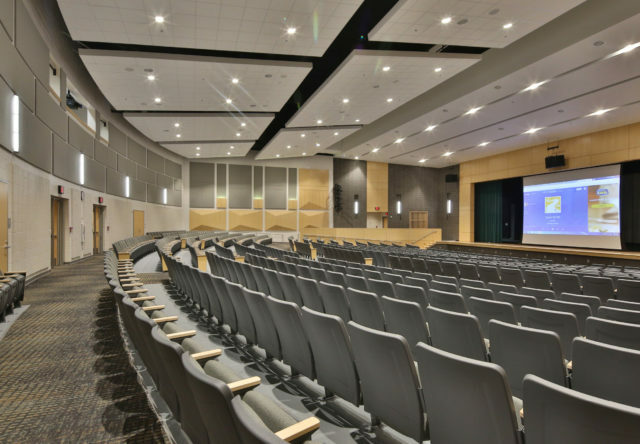 The auditorium is a hit with the community and is used for performances, presentations, lectures and training. 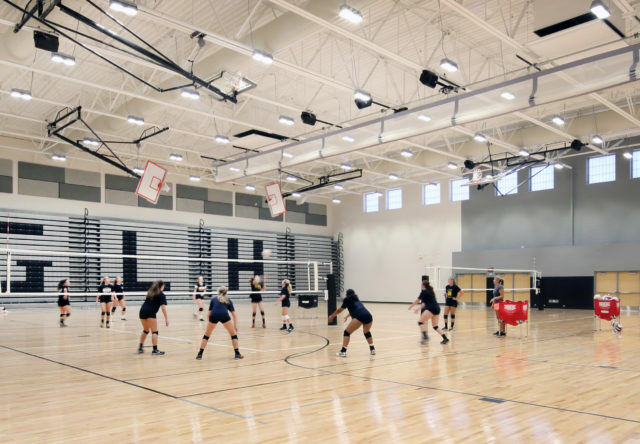 A day-lit gymnasium supports student athletes and seats 2,200 spectators, making it a coveted destination for sports competition. 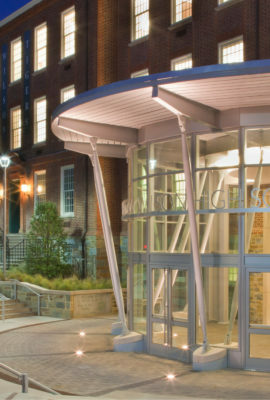 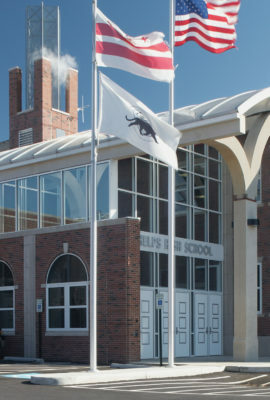 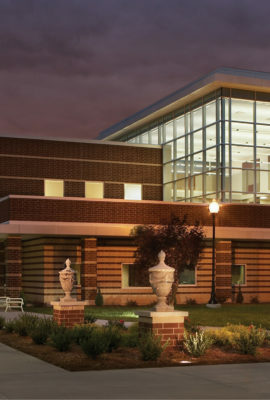 The school’s dramatic exterior façade is a source of pride among the student body and community. 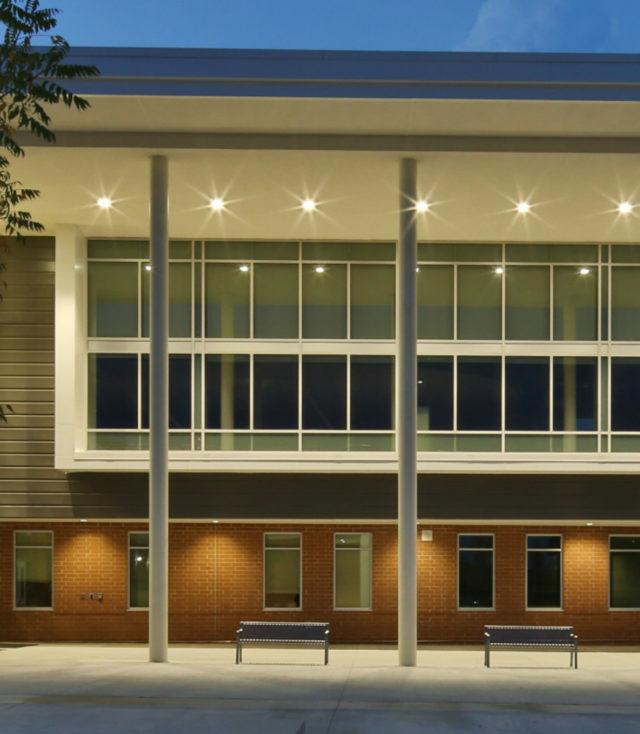 Our staff has appreciated the opportunity to work with the Fanning Howey team on developing the design of Green Level High School. 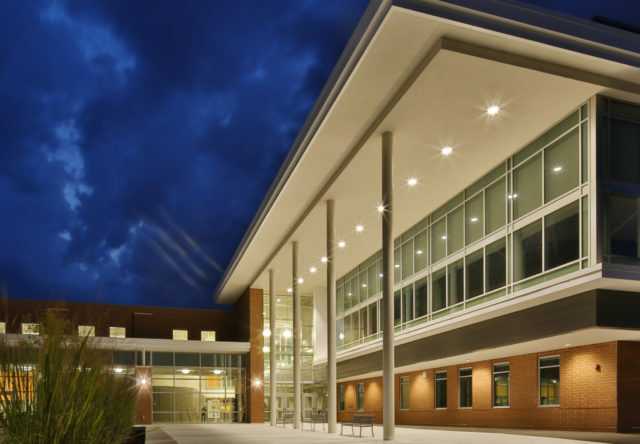 Your firm’s full-service capability, commitment to quality deliverables and customer satisfaction has provided the groundwork for a successful project.